I don’t like the sound of this at all, not after what we’ve been through. I wonder what it will do to all those damaged trees? All day long the wind has been gusting here in Forest Hills something fierce! 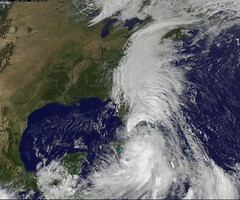 The homestead is being battered this morning by gusty winds from the tropical storm moving up the coast. I hope the old shanty holds together after the pounding it received a couple of weeks ago. The eastern arm of rain that was drenching New York City is moving north, so they will probably have a significant period with little or no rain today. However, as the north-south river of moisture moves slowly eastward, the risk of heavy rain in Philadelphia, and then New York City, will increase. Still no word on the cause of death of that person found in our Barnes & Noble’s bathroom. The MTA is now thinking of keeping its unlimited metrocards, albeit at the higher price of $104. 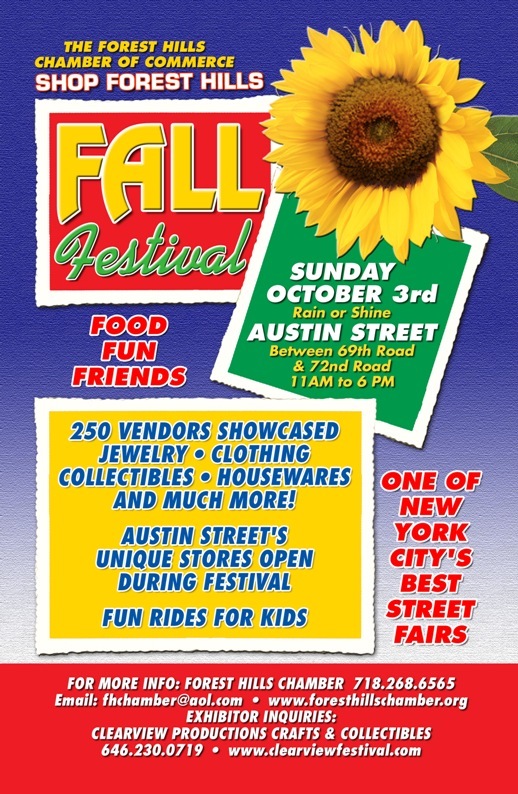 On a lighter note, our annual Fall Street Fair returns this Sunday all along Austin! By the way, if you have a chance, check out this blog’s new Local Shopping page and add to it as you see fit. It’s just getting started. And don’t forget the Local Restaurants page either. If you have recently discovered a store or restaurant in our area that you really love, I for one would love to hear about it, and I am sure so would the blog’s readers. 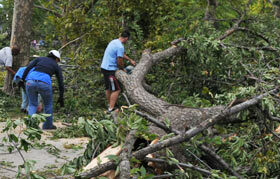 View an album of photos of the aftermath of the storms and of Parks’ cleanup effort. As of Tuesday, September 28, over 9,000 calls were made to 311 to report trees damaged or down. Over 6,900 of these tree service request calls to 311 came from Queens, over 1,600 from Brooklyn, and nearly 400 from Staten Island. They include over 3,500 calls for downed trees, nearly 3,700 calls for downed limbs, and over 1,700 calls for hanging limbs. This is the highest number of storm calls in the 14 years Parks Forestry has tracked tree damage and downed trees using our current system. The number does not take into account hundreds, perhaps thousands of trees damaged or down in parks. The storm left a swath of destruction that stretches uninterrupted from Park Slope through Bedford-Stuyvesant and Bushwick in Brooklyn, into Ridgewood, Queens and all the way through Queens to Bayside. In Staten Island the worst damage is on the North Shore (Port Richmond, Livingston, New Brighton), with another pocket of damage in Tottenville on the South Shore. 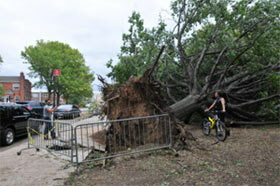 There was little or no damage to trees in Manhattan or the Bronx. The damage is due to the effects of two tornados and a macroburst that sheared tops off of many otherwise healthy trees which will now have to be taken down as well. 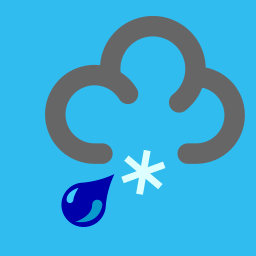 View a map of storm event service requests. Parks crews immediately began working to clear downed trees and have already collected nearly 2,350 tons of wood waste. There are 127 Parks Forestry teams, comprising 588 staff, and they include both forestry crews and inspectors, alongside forestry contractor crews working under a storm emergency contract. Currently deployed are 70 bucket trucks / tree trimmers, 25 chipper trucks, 40 log loaders, and 18 container trucks. Staff from Manhattan and the Bronx are being deployed in Queens. Additionally, the Office of Emergency Management is coordinating a citywide effort of hundreds of other city workers to remove downed trees and debris from streets and highways across the region. Assistance is being provided by the New York City Departments of Police, Fire, Transportation, Sanitation, Design & Construction (for sidewalk reconstruction contracts), Environmental Protection, New York State Department of Transportation, and the National Guard and volunteers coordinated by NYC Service. Con Ed is simultaneously clearing wires so that trees can be removed. We have also engaged the assistance of the United States Forest Service, who recently dispatched 20 members of their elite “Hot Shot” crew from Alabama to assist with chain-sawing and clean-up efforts. We continue to urge citizens not to try to clear downed trees by themselves, as trees can weigh many tons and suddenly shift or fall. To report City trees or limbs that are down, please visit our online forestry service request system or call 311. If the trees are City trees and you would like to address the clean up independently with a contractor, you will need to fill out a simple permit application before the work is begun. The application can be filled out electronically, and completed applications should be sent to the email address included with the form. Please include the words “Emergency Permits” in the subject line. If the trees are your own, or if you would like a City tree removed on your own schedule, Parks has prepared a list of contractors who are insured and experienced in this type of work. In addition, the City will be removing tree stumps and repairing sidewalks at no cost to homeowners. Please call 311 for more information.